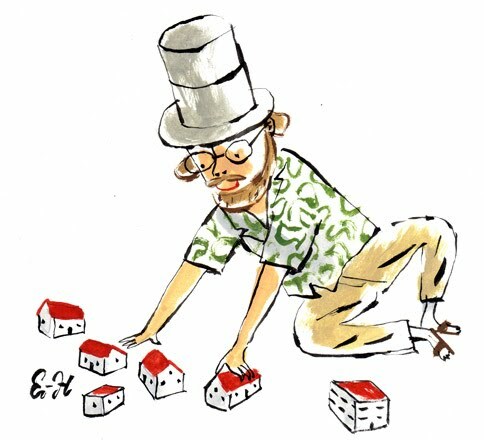 A few years ago I was asked to illustrate an article about a middle aged hippy dot.com millionaire who was dabbling in real estate. 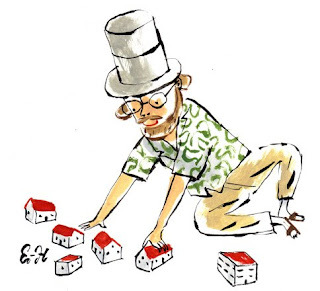 I decided to depict him this way, with a millionaire's top hat, Hawaiian shirt and sandals, playing with houses. Which just about describes it.